When boys go out to play after school, there's no holding them back and that's just fine. Because rough and tumble outdoor adventures are exactly what the Boys Turbulence Jacket from Jack Wolfskin is made for. 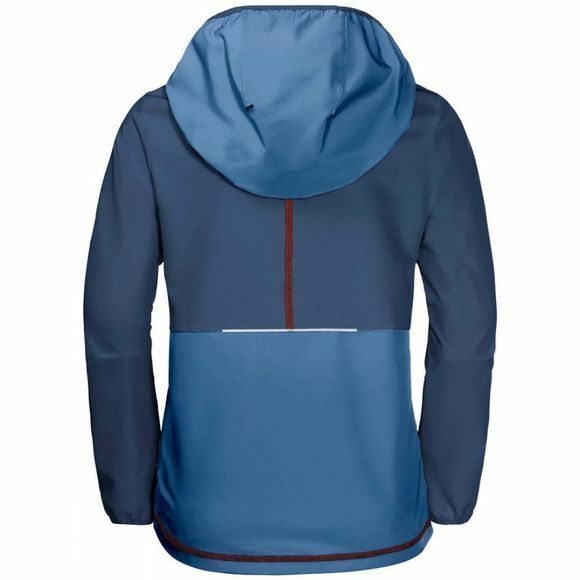 This hooded jacket is light and extra stretchy, which makes it super comfortable for romping around outdoors in. A little shower? Not a problem. They can simply pull up the hood. 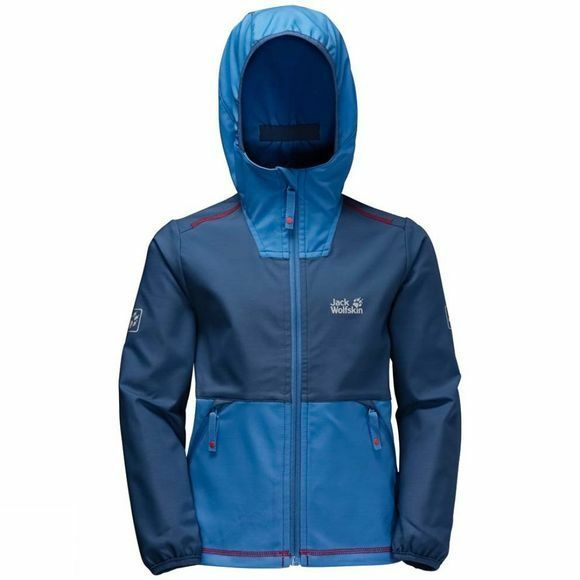 The lightweight softshell fabric shrugs off rain and is also wind resistant.